Ramona Kasavan is taking over Africa one sanitary towel at a time. 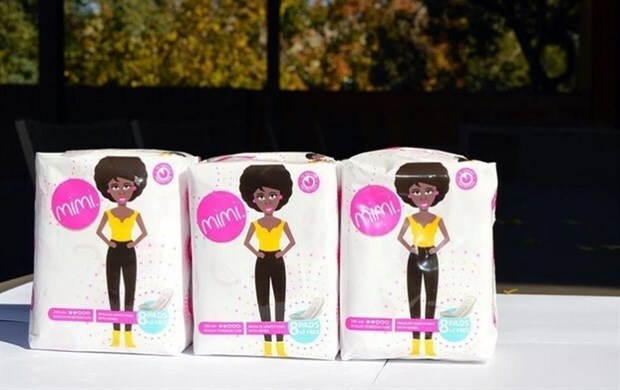 She started her company, Mimi Women which manufactures sanitary towels locally in South Africa, after seeing large numbers of girls missing school over their monthly menses. At the recently held Seamless Southern Africa, she shared her tips and tricks on going beyond South Africa with your business. Since its launch in South Africa, Mimi Women has been made available in four additional African countries: Malawi, Madagascar, Zambia and Zimbabwe. “Every day I wake up to compete against Procter & Gamble that has a marketing budget of $120million per continent and, despite that, we’ve come really far with our distribution which has already reached three million,” says Kasavan. One of her first tips is to know the potential of untapped markets. “I don’t sell a brand that’s not related to the audience. I’m not selling Mimi Women to Europeans. I’m selling it in Africa to the African marketplace based on the African experience,” she says. She explains that one of the reasons she went cross border is because South Africans often prefer a product with a global appeal. She has looked into less-developed markets to sell her product. ”The South African economy is way more advanced than other African counties so try to infiltrate your products where there is a demand for supply. I’m competing in a market where women are using rags so if there is a disposable pad for a few cents, rands or dollars I want a woman to go ‘Okay, I’m gonna try it out,’” she adds. Kasavan advises that it’s important to make connections when taking your product or service beyond borders. “It’s all based on brand awareness, reputation and how your product works. I can’t take my product to Namibia where I don’t know how the market works and I don’t know someone in that environment. These are things to carefully consider when you are taking your product cross border,” she says. Ramona Kasavan is the founder of social enterprise Mimi Women - an organisation that aims to help keep South African girls in school by providing sanitary pads in rural parts of South Africa. It also empowers unemployed women by equipping them with entrepreneurial skills via its Empower Me programme. “We generally find people in South Africa because it’s multicultural. We chat in a group and, in the process, find other people on the continent. I recently met someone from Nigeria and he wants to take the products to churches. “We went into Africa because we knew someone who knew somebody who wanted to take a risk on us,” says Kasavan. She stresses the importance of knowing the in’s and out’s of the markets you’re entering, adding that it is crucial to find someone on the ground. “I found someone who can manage the environment there so they can provide feedback to me and my team about how we need to change the marketing and branding. To give you an example, you can’t use what works in KZN in the Eastern Cape – people in Eastern Cape speak Xhosa while people in KwaZulu-Natal speak Zulu. Don’t apply a one-size-fits-all because it’s not going to work,” she says. There’s one word she emphasises: research, research, research. “Don’t sell somebody something you don’t know and don’t sell to a country that won’t find your product valuable. Everyone thinks my business has gone bust because the government is rolling out millions in free pads, but the thing there is there are 500 million women menstruating in SADC alone and if the government is handing out free sanitary towels in one country, there is a still a group of out-of-school women who are still my target market,” she says. If it all feels too much, there's one more piece of advice from Kasavan: "When something is your love, your life and your child, like mine, you will never fail."